Eco-friendly high-tech hatchbacks get big touchscreen and connected gadgets. 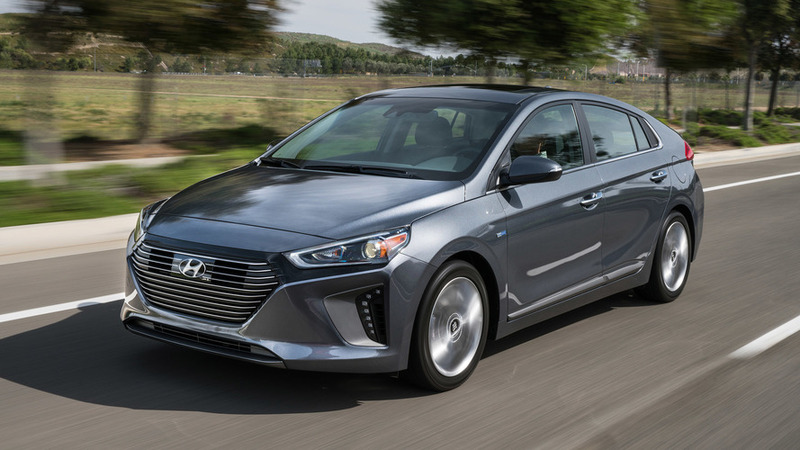 Hyundai has added even more on-board technology to its Ioniq Hybrid and Plug-In Hybrid models in readiness for 2019. The eco-friendly hatchbacks have been given a range of on-borad technologies including safety equipment and driver assistance systems, as well as a refreshed interior and exterior design. Chief among these is the suite of safety systems collectively known as SmartSense. All new Ioniqs will get autonomous emergency braking and lane keeping assistance to prevent or mitigate collisions and to stop the car wandering out of its lane. There’s also a driver attention monitoring system that alerts the person behind the wheel if they are losing their focus on the road. 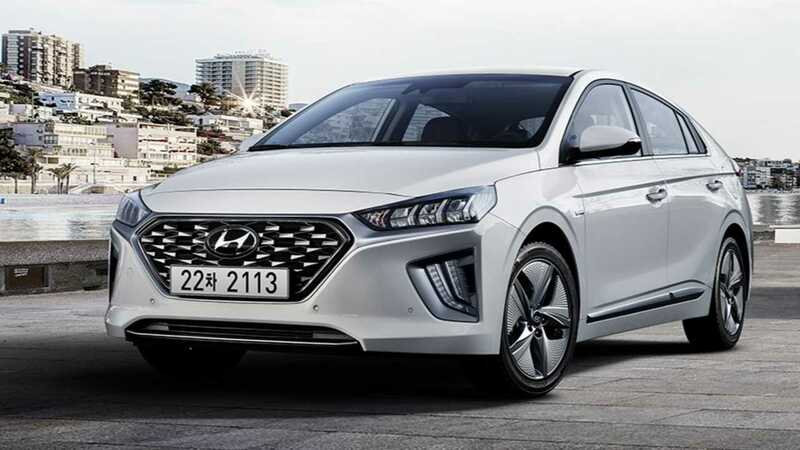 Joining these gizmos is Hyundai’s Blue Link connected vehicle system that gathers vehicle car care information and notifies the relevant authorities if the car has an accident. All this is complemented by a new dashboard that’s now available with a new 10.25-inch multimedia and navigation system. Acting as a home for various functions, including the new tech, the system comes with the Android Auto and Apple CarPlay smartphone connectivity systems as standard. But that’s not the only part of the cabin to have been updated. Hyundai has also tweaked the heating and climate control interface to give it a glossy finish. 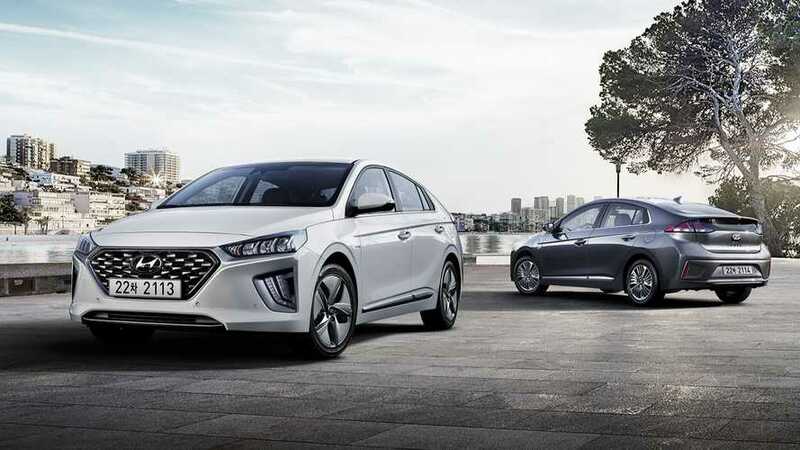 Similarly small tweaks have been made outside, where the 2019 model gets a ‘cascading’ mesh grille and a new front bumper, while the optional LED lights have been redesigned to give the Ioniq more presence at night. 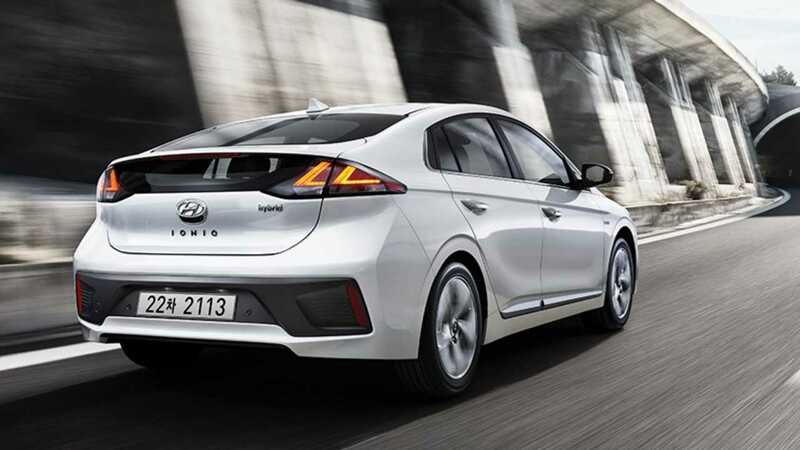 The Ioniq Hybrid and Plug-In Hybrid will both carry the same basic powertrains into 2019, though, with both mixing petrol engines and electric motors to provide cleaner, greener propulsion. However, the powertrains are being helped out by the arrival of a new Green-zone Drive Mode (GDM), which tells the car to use electric power where possible in designated areas. And like the Kona Electric SUV, the Ioniq has also gained a ‘one-pedal’ system with Smart Regenerative Braking. With this technology, simply easing off the throttle will cause the car to decelerate more noticeably and harvest more electrical energy in the process. It also reduces the amount of energy wasted while braking.